Welcome to this week's linky party. A place where you can link up your posts and creations, and be inspired by others. Last week we had another amazing party; there were a lot of newcomers so Kim & I welcome them and thank everyone for taking the time to stop over. You all make this party a success and we greatly appreciate it! Valentine's Day is just hours away. Are you ready? I am not! I haven't even set a table yet in honor of the day! That is so not like me! No worries, I will have one up before it gets here! Oh and! Sunday is my birthday! In honor of such a special event, I am giving one of YOU a gift! Be sure to visit this post and enter to win an awesome La Creuset Serving platter! Just leave a comment and you could be a winner! I think that makes two good reasons to party so, let's get this one started! Oh don't they look divine! I could seriously much down a dozen of them! 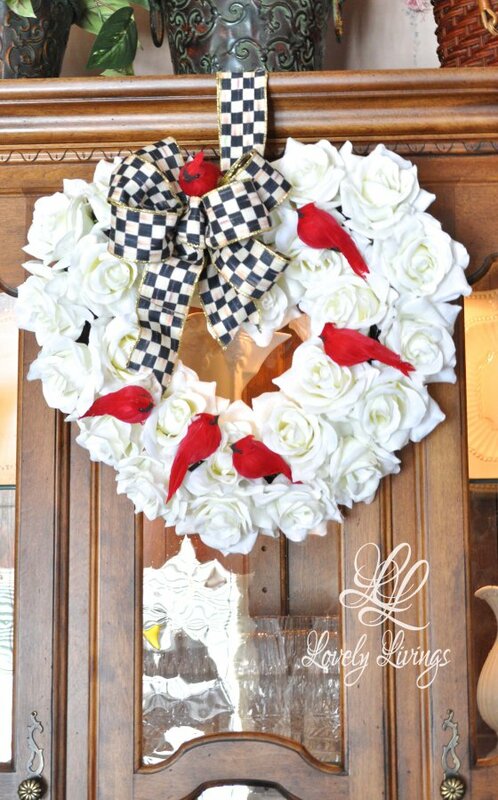 My favorite pick of the week is this lovely cardinal Valentine's Day wreath from Lovely Livings. 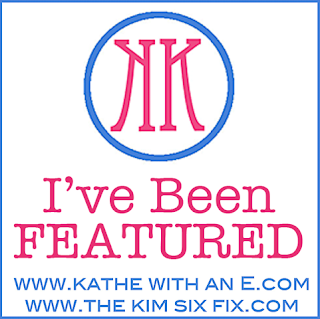 I was smitten by the bright red cardinals and then, fell in love all over again with the checked bow! Oh, I love that wreath! Thank you for hosting, Kathe. Hi Kathe, Happy Birthday for Sunday. Thanks for Youre Gonna Love It today. Love joining in. Happy Valentines Day too. Have a wonderful birthday on Sunday, Kathe! It's gonna be a very romantic weekend for you - enjoying Valentine's and a birthday - so cool!!!! Have fun celebrating your birthday and Valentines Day! thanks for hosting too! Thank you for featuring the macarons! Have a great Valentine's Day! Thanks for hosting! Those macaroons do look delicious! I think I could also eat dozens of them. Haha. Have a great week!